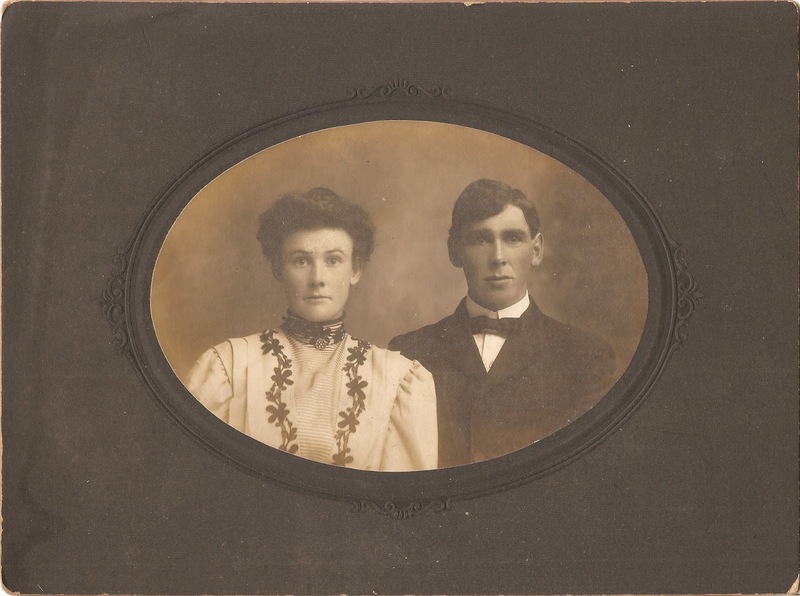 In the first post of this series, Proving the Generations, I wrote how my goal is to use the Genealogical Proof Standard to show my ancestry through my great-great-grandparents' generation. In this fourth post, I will be proving that my paternal grandfather, Robert Louis Robbins, is the son of William Bryan Robbins, Sr. and Marie Lewis. 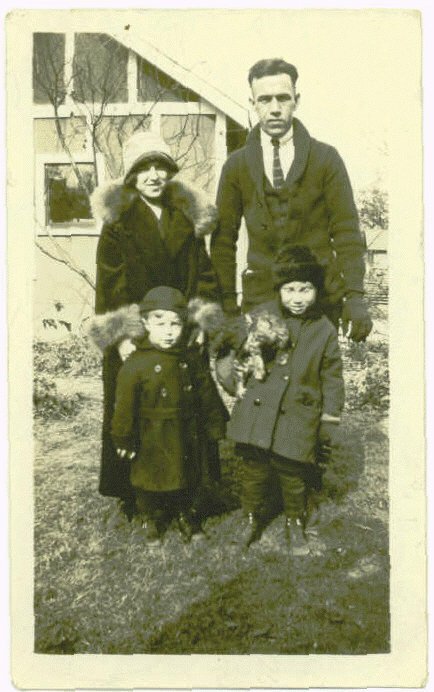 My grandfather, Robert Louis Robbins (holding the kitten), with his parents, Marie (Lewis) and William Bryan Robbins, Sr, and his younger brother, William Bryan Robbins, Jr.
Taken c. 1924-5, probably in Muskegon Heights, Muskgeon Co., Michigan. Digital copy held by Miriam J. Robbins, Spokane, Washington, 2018. I was personally acquainted with my grandfather, as well as my great-grandmother (I met my great-grandfather at least once, maybe twice, but I was so young I don't remember him). My grandfather told me that he was born on 21 September 1920 in Muskegon Heights, Muskegon Co., Michigan. However, none of us are expert witnesses of our own births, since although we were there, none of us can remember the event! A Certificate as to Birth issued by the County of Muskegon on 3 July 1942*, certifying "upon a careful examination of the original records on file in the office of the Clerk of said County and Court" a record as to the birth of Robert Louis Robbins, born 21 September 1920 in Muskegon Heights, whose parents' names were Wm. S. [sic] Robbins and Marie Lewis (maiden), the latter of Muskegon Heights. It also states the original record was recorded with the county on 1 November 1920 in Liber 10, page 40. I have a copy of the index page of the liber, microfilmed by the Genealogical Society of Utah, which corroborates that his birth was recorded in Liber 10, page 40. You can view the Certificate as to Birth in this post. The liber record is not yet available to the public, and will not be until 2020 or later. A birth announcement published in the local paper, The Muskegon Chronicle, on 2 October 1920, stating: "ROBBINS--To Mr. and Mrs. William B. Robbins, 1134 Hoyt street, September 21, a son, Robert Louis." My grandfather appears with his parents, three younger siblings, and a paternal uncle during the enumeration of the 1930 U.S. Federal Census. They were living on East Broadway in an unnumbered house (but not a farm) in Norton Township, Muskegon County, Michigan and were enumerated for the official census day of 1 April on 6 May 1930. My grandfather appears with his parents and four younger siblings during the enumeration of the 1940 U.S. Federal Census. 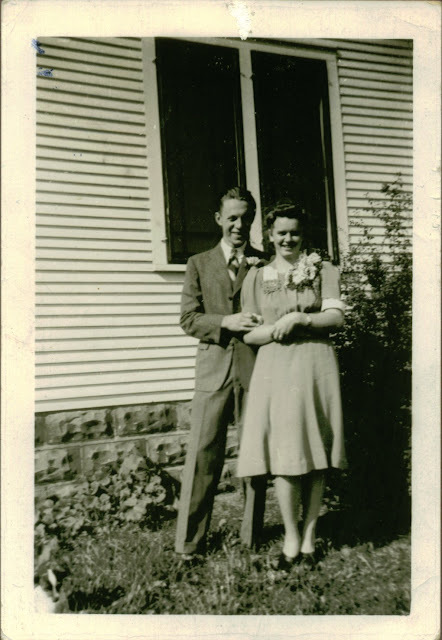 They were living on a farm in Wright Township, Ottawa County, Michigan and were enumerated for the official census day of 1 April on 11 April 1940. Unfortunately, the enumerator did not mark who provided the information at each household that day, as required. *At the time of all four of my grandparents' births, the law regarding birth registrations that was in place in the state of Michigan was Public Act 330 of 1905, which required the attending physician or midwife to file a certificate of birth with the local registrar within 10 days of the birth. Now filing a certificate of birth and issuing a copy to the family are two different things. It's apparent that my grandfather did not have a copy of his birth certificate until he was almost 22 years old. The date of 3 July 1942 coincides with his registering for the draft for World War II, for which he would ask a deferment due to his daughter's (my aunt's) impending birth in August, after which he enlisted in the U.S. Army Air Corps on 13 October 1942. Additionally, DNA tests results from FamilyTreeDNA for my father and me show matches consistent with the degrees of relationship to a Robbins cousin who is a descendant of my great-grandfather's youngest brother, Don. Also, my test results from AncestryDNA show a match consistent with the degree of relationship to another descendant of Don Robbins, as well as to a Lewis cousin who is a descendant of my great-grandmother's younger brother, Percy. 12 October 1940, Coopersville, Ottawa Co., Michigan. 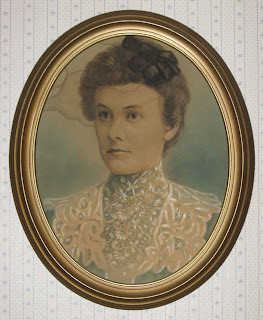 Original photo held by Miriam J. Robbins, Spokane, Washington, 2018. Finally, I am providing some information on my grandparents' marriage, even though I am not using it to prove my grandfather's parentage. My grandparents' Marriage License/Certificate of Marriage states my grandparents obtained their license and married on the same day, 12 October 1940. The license would have been obtained at the Ottawa County Courthouse in Grand Haven. They married in Coopersville in the Methodist parsonage, and my grandfather's best friend, Ray Adams, and the minister's wife were the witnesses. I know that my grandmother's best friend, Geneva Parrish, stood with her, but like my grandmother, was underage, so she would not have been able to sign the Certificate of Marriage. 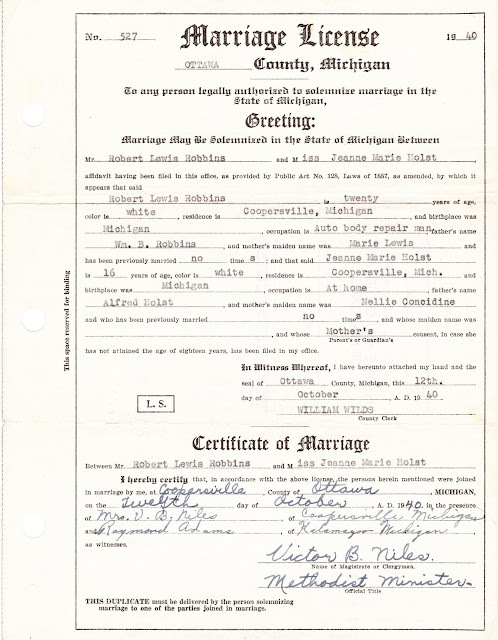 Marriage License and Certificate of Marriage of Robert Louis Robbins and Jeanne Marie Holst. Family stories and photographs, documents created at or near the time of birth or referencing an original record created shortly after birth, and DNA test results all provide conclusive evidence that my paternal grandfather, Robert Louis Robbins, was born 21 September 1920 in Muskegon Heights, Muskegon County, Michigan to William Bryan Robbins, Sr. and Marie Lewis. Muskegon County, Michigan, Certificate as to Birth, citing county birth liber 10, page 40 (1920), Robert Louis Robbins; Muskegon County Clerk's Office, Muskegon; original document held by Miriam Robbins [ADDRESS FOR PRIVATE USE,] Spokane, Washington, 2018. Muskegon County, Michigan, Index to births L-Z, 1867-1949 continued: 1920, Robbins, Robert L.; FHL microfilm 1,320,091, item 1. Carol McGinnis, Michigan Genealogy: Sources & Resources, Second Edition (Baltimore: Genealogical Publishing Co., Inc., 2005), 50. "Heights Births," birth announcement, Muskegon (Michigan) Chronicle, 2 October 1920, p. 14, col. 3. 1930 U.S. Federal Census, Muskegon County, Michigan, population schedule, Norton Township, enumeration district 42, p. 21A, dwelling 416, family 442, William Robbins household; digital image, Ancestry.com (http://www.ancestry.com : accessed 26 November 2008); citing FHL microfilm 2,340,750. 1940 U.S. Federal Census, Ottawa County, Michigan, population schedule, Wright Township, enumeration district (ED) 70-45, p. 5B, dwelling 97, household of William Robbins; digital images, Ancestry.com (http://www.ancestry.com : accessed 6 March 2013); citing NARA microfilm publication T627, roll 1809. Bryan H. Robbins, interview by Miriam Robbins, undated (between 1996-2018). 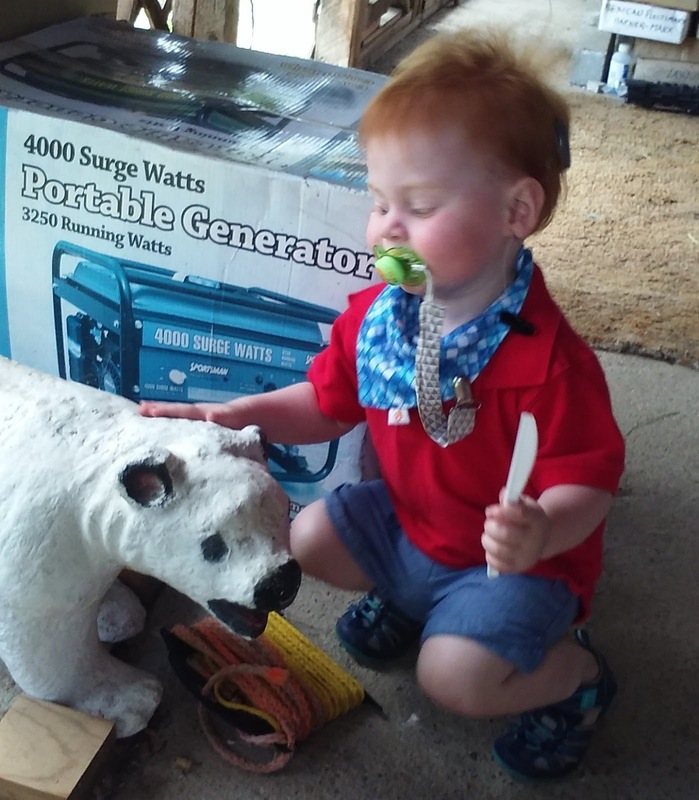 Bryan stated that his father had received a deferment to enlist until after his daughter was born; at which time, he persuaded his brother, William Bryan Robbins, Jr., to go to Kalmazoo to enlist with him. Access to Archival Databases, "World War II Army Enlistment Records," database, U.S. National Archives & Records Administration (http://aad.archives.gov : accessed 22 Apr 2005). 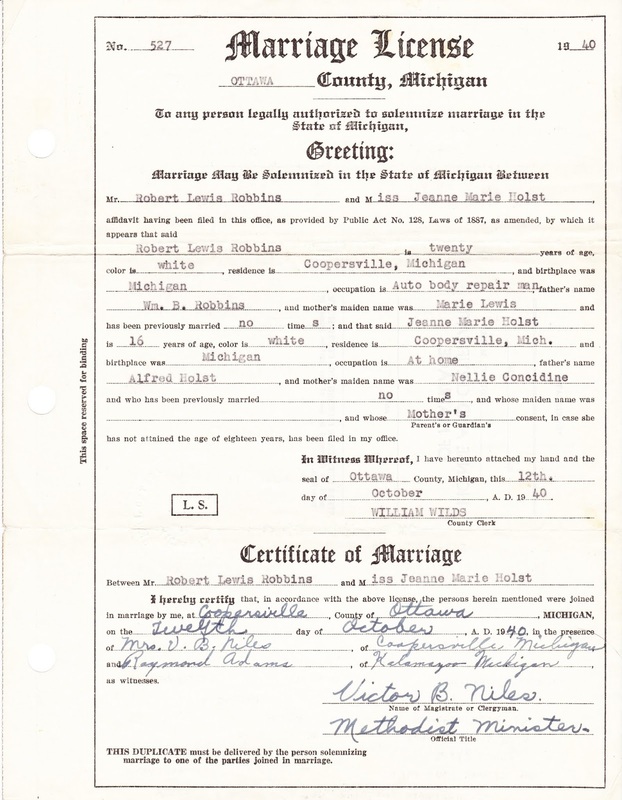 Ottawa County, Michigan, Marriage License and Certificate of Marriage, no. 527, Robbins-Holst, 1940; duplicate document held by Miriam Robbins [ADDRESS FOR PRIVATE USE,] Spokane, Washington, 2018. Robert Louis Robbins, interview by Miriam (Robbins) Midkiff, 1989. Bob stated that he and Jeanne were married at the Methodist parsonage. Bryan H. Robbins, interview by Miriam (Robbins) Midkiff, 1990. Bryan stated that at Bob and Jeanne's 50th anniversary celebration which he attended, Ray Adams and Geneva Parrish, who were introduced as the best man and maid of honor, were also present. In this third post, I will be proving that my mother, Faith Lillian Valk, is the daughter of William Valk, Jr. and Ruth Lillian Hoekstra. Because my mother is living, I will not be providing as many details or citations in this post as I will in the posts where all the ancestors are deceased. 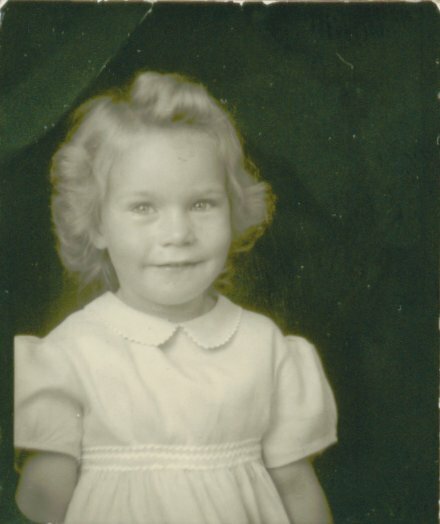 My mother, around 3 1/2 years of age. My mother was born in Michigan during World War II. Her father was serving in the U.S. Army, and so was not present at the time of her birth. 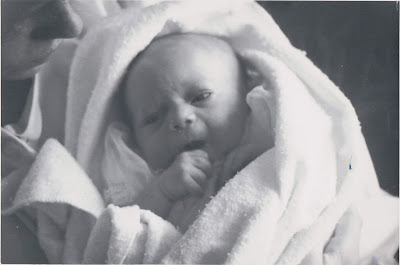 My grandmother told me her memories of my mother's birth, and I have numerous photos of my mother with her mother from infancy through adulthood. Because my grandparents divorced when my mother was 22 months old, I have not seen photographs of my mother in infancy or young childhood with her father. However, I have in my possession professional photographs taken of my mother in infancy and early childhood with "To Daddy, from Faith" captioned on the back, which I received from my grandfather's widow and son after his death. 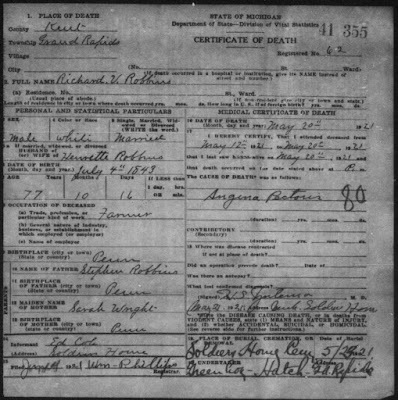 A Certificate of Birth issued by the Michigan Department of Health, Bureau of Records and Statistics, stating my mother's full name, date of birth, place of birth (hospital and city). It lists her parents as "William Jr. Valk" and Ruth Lillian Hoekstra, their ages, and their birthplaces. A Notification of Birth Registration issued by the U.S. Department of Commerce, Bureau of the Census, stating my mother's full name, date and place of birth, and listing her parents as "William Jr. Valk" and Ruth Lillian Hoekstra. My maternal great-grandmother, Lillian Fern (Strong) Hoekstra, mentioned my mother's birth and her parents' names in two places in her Family Record book. This information would have been written between the time of my mother's birth and 10 September 1967, when my great-grandmother passed away. Although this information may not have been written close to the time of the event, it was written by her maternal grandmother who lived in the same city and would have had personal knowledge about the birth of my mother, her first grandchild. Additionally, my mother's DNA matches her parents' biological relatives on both sides of the family. Her paternal cousin shares 758 centimorgans (cM) of DNA, which is consistent with a first cousin relationship. She also shares DNA with numerous 2nd - 3rd cousins on both her father's and mother's sides, consistent with the estimated relationship ranges. Finally, I am providing some information on my parents' marriage, even though it is not used to prove parentage. My parents' Marriage License/Certificate of Marriage document states my parents' full names, age at the date of the license (issued four days before their wedding), residences, full birth places, and names of their parents: Robert Lewis [sic] Robbins, Jeanne Marie Holst, William Valk Jr., and Ruth Lillian Hoekstra. The license half is signed by the deputy county clerk. The certificate half is signed by the officiating minister, best man, and matron of honor, and gives the date and location of their marriage. I have in my possession professional and informal photographs of the event, an invitation to the wedding from their scrapbook, and copies of articles from the local newspaper regarding their engagement and their wedding. My mother is the daughter of William Valk, Jr. and Ruth Lillian Hoekstra. In this second post, I will be proving that my father, Bryan Henry Robbins, is the son of Robert Louis Robbins and Jeanne Marie Holst (born Jane Marie York). To begin, I must clarify that my paternal grandfather's middle name was often spelled Lewis, for his mother's maiden surname, and it is likely that his middle name was misspelled on his birth certificate. I must also clarify that my paternal grandmother was an adoptee, born Jane Marie York, whose name was legally changed at adoption to Jeanne Marie Holst when she was 16, although she had been using the latter name as a foster child since she was three years old. More details on my grandmother's birth and adoption will be provided in the fifth post of this series. My dad at five years old. Because my father is living, I will not be providing as many details or citations in this post as I will in the posts where all the ancestors are deceased. My father was born in Canada during World War II to American parents. My grandfather was stationed at a U.S. Army Air Corps base in the Province of Alberta, and my grandmother and my aunt, not quite two years old, were living on base with him. My grandmother had followed my grandfather quite literally around the continent to the various bases he was assigned at. These are the stories told to me by my grandparents and aunt (who has a few early memories of these times), and they are backed up by a photo album my paternal great-grandmother put together as a birthday gift for her son, my grandfather. Additionally, I have a photo of my expectant grandmother walking down the street of the city where my father was born, holding my toddler aunt's hand; this photo was taken by a street photographer, a common occurence during World War II. 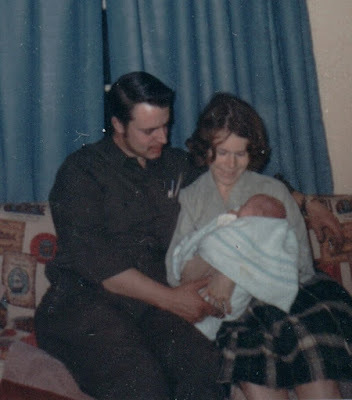 I also have numerous photos of my father with his parents, from infancy to adulthood. My father was named for his grandfathers, William Bryan Robbins, Sr. and Alfred Henry Holst (my grandmother's adoptive father), showing indirectly that he is related to his parents, and thus grandparents. 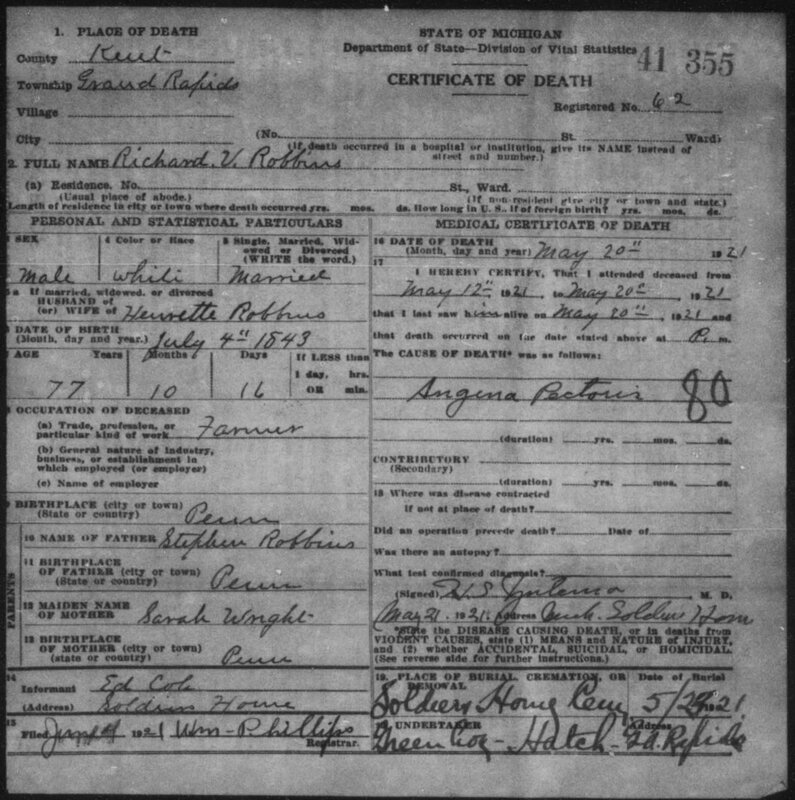 His Certificate of Birth issued by the Province of Canada, stating his birth date, city of birth, his parents' names (Robert Louis Robbins and Jeanne Marie Holst) and their respective birth places (Muskegon Heights, Michigan, U.S.A. and Goodrich, Michigan, U.S.A.). A baby announcement in his baby book stating his birth day of the week, birth date (month and day, but interestingly, not the year), time of birth, "U.S. Station Hospital" and the city, province, and country, and signed by the attending doctor and nurse. It appears this baby announcement may have been provided by the hospital where he was born. Within a few weeks of my father's birth, my grandfather submitted a Report of Change of Status and Address to the War Department. This report gives my father's birth date and birth location, my grandfather's full name, Army serial number, grade, and military mailing address, and allowed for an upgrade in my grandfather's family allowance from the military. Although it was created when he was 16 years old and not at or near the time and place of birth, my dad's Certificate of Citizenship from the Department of Justice, Immigration and Naturalization Service gives his date and country of birth, and his current residence, which was known to be the same residence as my grandparents. Citizenship is issued in the United States by the federal government only after careful examination of documents and the participating parties. While the Certificate of Citizenship does not list my father's parents' names, the Summons for Interview for Certificate of Citizenship, dated a couple of weeks previous to the certificate date and mailed to the residence where my father and grandparents lived, stated my father had to appear at the Office of the County Clerk with both parents. Since my grandparents had to attend the interview, it stands to reason that the information on the certificate would be accurate. Additionally, my father's DNA matches his parents' biological relatives on both his father's and mother's sides of the family. His aunt shares 1,842 centimorgans (cM) of DNA with my father, which is consistent with an aunt/nephew relationship. Dad also shares 325 and 255 cM with a paternal second cousin and maternal second cousin, respectively, which is consistent with a 1st-3rd cousin relationship. My father is the son of Robert Louis Robbins (a.k.a. Robert Lewis Robbins) and Jeanne Marie Holst, (a.k.a. Jane Marie York).